Input and output audio device switching during call was added (following baresip) in tSIP 0.1.51. Two new button types were added - one switching output device and one for input device. 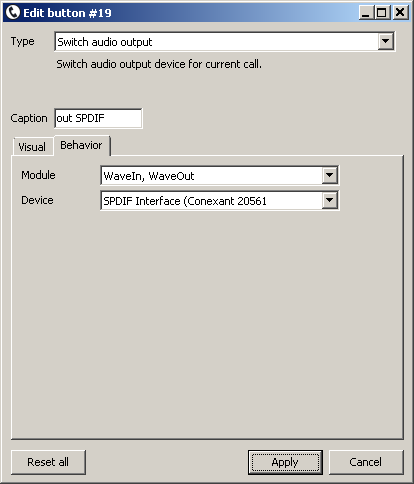 Each button instance (for switching back and forth between different devices) specifies audio module used (Portaudio, winwave or in case of input selection: wave file) and particular device (or wave file) to switch to.